Engaged, high-performing employees are the dream of every manager. Yet there’s always a wide range of employee performance from high to low—and everything in between. If people perform essentially the same job, why does performance vary so much? When employees are measured against the same metrics, why do some excel while others lag behind? The obvious answer is that each employee is unique—and each brings his or her own experiences and expectations to the job. The secret to optimizing performance is to recognize and accept these differences, and to focus our employee onboarding and development around these differences. To raise the bar and optimize results, I recommend a personalized employee performance “tune up.” And the key to driving top performance is a tune up based on what is specific to the needs of each individual. A NASCAR race team would never consider performing the exact tune up for every car. 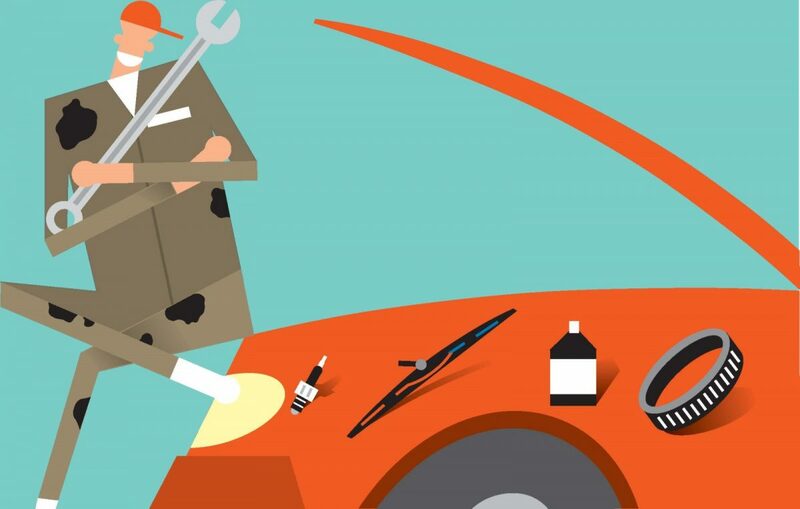 Instead, the right adjustments and corrections are unique to each vehicle. Some cars need more, some less—and some don’t need a tune up at all. And it’s the same for employees. To be effective, tune ups must be relevant to each person’s specific performance levels and needs. To reach peak performance, tune up your team with these 5 easy steps! 1. Dust off the job description. We all have job descriptions, right? Unfortunately, job descriptions usually sit on a shelf or in a file never to surface again from a new employee packet. The job description sets the foundation for performance. It establishes common expectations for everyone. While the job description cannot guarantee employee performance outcomes, it is the best starting point for tuning up your team. So, don’t let the job description sit on the shelf. Dust it off, and start putting it to good use! For an effective tune up, make sure your team members are all “on the same page” when it comes to performance expectations. The job description is a great place to start. Still, the job description may mean different things to different people. If this happens, people’s response will be different—and so will their performance. A key element of an effective team is how they communicate and how they understand what is communicated. Team members need a common and consistent way to discuss and evaluate performance. When discussing performance with your team, does each employee understand what is expected? Ask questions and check to ensure that everyone understands job expectations and performance goals in the same way. While there is no substitute for day-to-day coaching and performance management, there is also a need for diagnostic tools to benchmark current performance and competency levels. In other words, before starting the actual “tune up” we need to know what to tune up. So, what is the best way to diagnose and benchmark your employees? There are a lot of available options including peer surveys, self-report, customer ratings, performance metrics, skill assessments, etc. My recommendation is to use tools that are calibrated to the specific competencies identified in the job description. Even more critical is to choose tools that provide an objective and independent measure of performance. Why is this important? Because subjective measures (such as surveys) are dependent on the perspective of the rater, so personal biases and personalities influence the ratings. Objective performance measures (such as performance metrics and competency-based assessments and simulations) are more consistent, accurate, and reliable. The more precise you are in diagnosing employee performance, the more effective their tune ups will be. With an accurate diagnosis of each team member’s strengths and improvement opportunities, you are now ready to create a tune up plan for your team. The goal is to create a plan of action for each person—not generalized across the team—but specific and relevant for each team member. The key is to make it practical. You can include on-the-job activities, online learning, company training, etc. Whatever you choose, be sure the activities, priorities, timing, and expectations all tie directly to the objective diagnostic evaluation. Equipped with a personalized plan for every employee, the tune up can begin. All team members have their own plans. Not only do they have a clear understanding of expectations, but more importantly, they now buy into the plan because it is designed specifically for them. The plan becomes a great discussion document between team members and supervisors. This goes a long way toward removing wasted training time and expense. Employees get exactly what they need, and as a result, they are more receptive to learning. What better way to achieve employee engagement and peak performance than to give each team member a personalized plan for success! By now you may be thinking, “This sounds great, but who has the time to put it into practice?” Or, “Seriously, is it even practical to customize tune ups for each employee?” Absolutely. The good news is that the cost associated with personalized tune ups is very low, while the return value—in increased engagement and improved performance—is very high. Here’s to getting your team running on all cylinders!